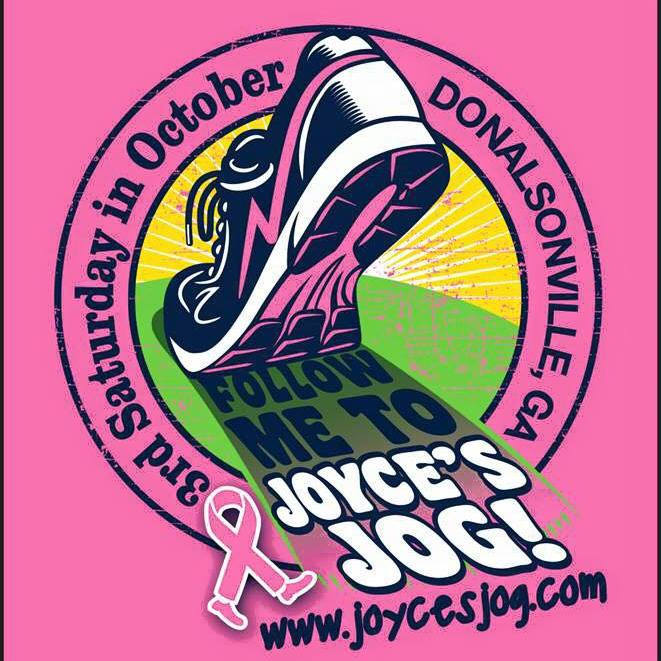 Joyce’s Jog is a 5K race and 1 mile fun run/walk held in conjunction with the Donalsonville Seminole County NEW Big Fish Festival. More information about the new Big Fish Festival can be found on the Donalsonville Chamber of Commerce website: www.donalsonville-seminole.org. The race was established in 2007 to honor the memory of Joyce Payne Henley. Proceeds will benefit breast cancer research and community outreach programs in Georgia.